Hello and welcome to Doodle Prints! This listing is for a digital file of this fully customized Invitation. For one low price you will have this design and the ability to print as many copies as you would like and also share on social media with friends and family! The Invitation in 5x7" OR 4x6"
2. One Background JPG Hi-Res image in the same size of the invitation. * Add-on: One Printable PDF page with 2 Invitations in sheet size 8.5x11"
• Select the size of your choice 4x6" or 5x7"
• Select the file option you want: JPG or JPG & PDF page. 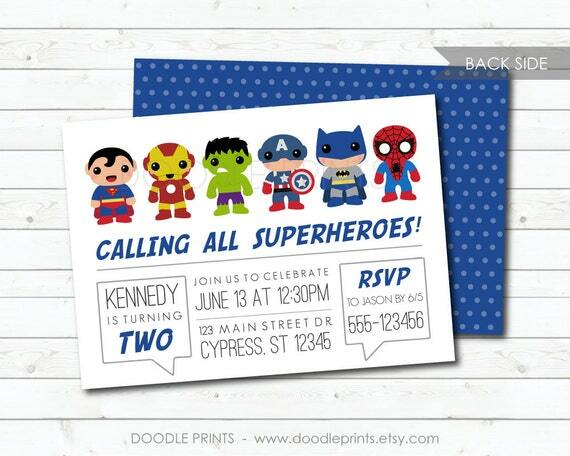 • Send me your all your information for the Invitation on the Note Sellers or send me a message here on Etsy. All the text can be changed to the information of your choice, just keep in mind the same space as the preview. • Once payment is made and complete I will then customize the invitation with your information and send you a preview for you to approve. Once approved I will send you here on Etsy a new message with the images attached and a temporary link to download the images on your computer. The time frame is within 1-2 business days but many times on the same day. • This invitation is all created by me making it a one of a kind! • Please do not resell this item as it is just for personal use. • PDF page is password protected meaning that you will not be able to alter or extract the design. You will be able to open the file in Adobe Acrobat for unlimited printing for personal use. • Please note NO printed invitation will be sent this is for a digital invitation only. Bee Invitation, Bumble Bee Birthday Party Invitation, Honey Comb, Bee-Day Girl Printable Invitation, Digital Party Invite 5x7 or 4x6"
Robot Invitation, Printable Robot Birthday Invitation, Robot Party Invite, Nuts and Bolts, Robot Birthday Party Invitation - 5x7" 4x6"
Science Invitation, Science Experiments Birthday Party Invitation, Mad Scientist Printable Girl's Party, Scientific Beakers 4x6" or 5x7"